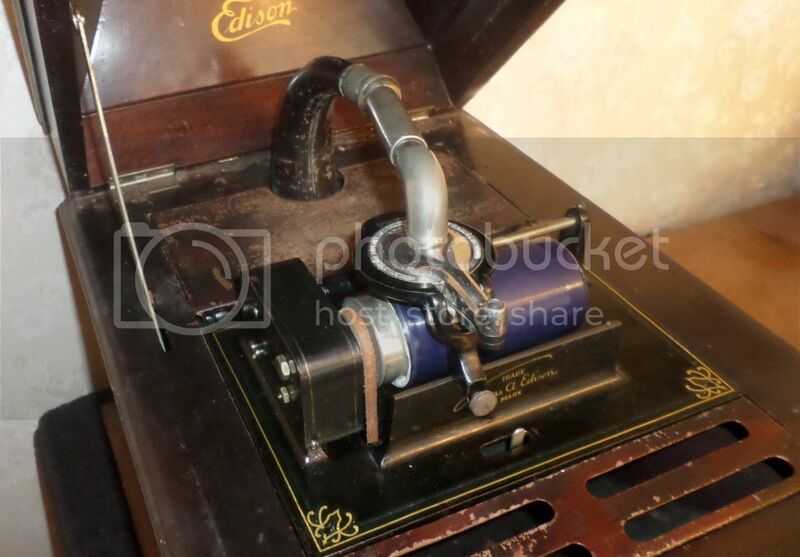 On Tuesday, I acquired a Thomas Edison Amberola Cylinder Phonograph. 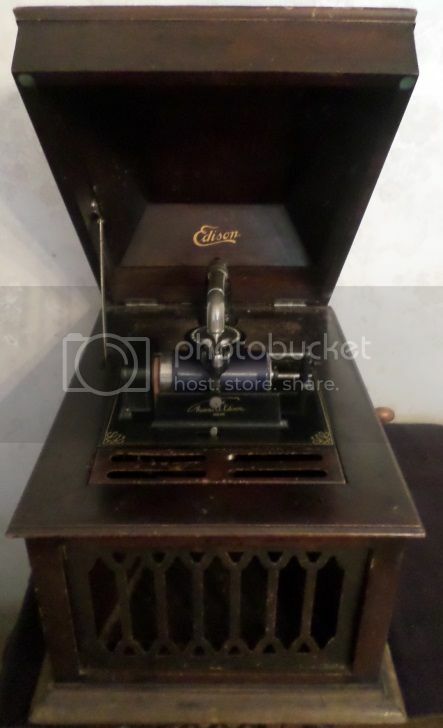 It is specifically an Amberola BVI or VI-B. 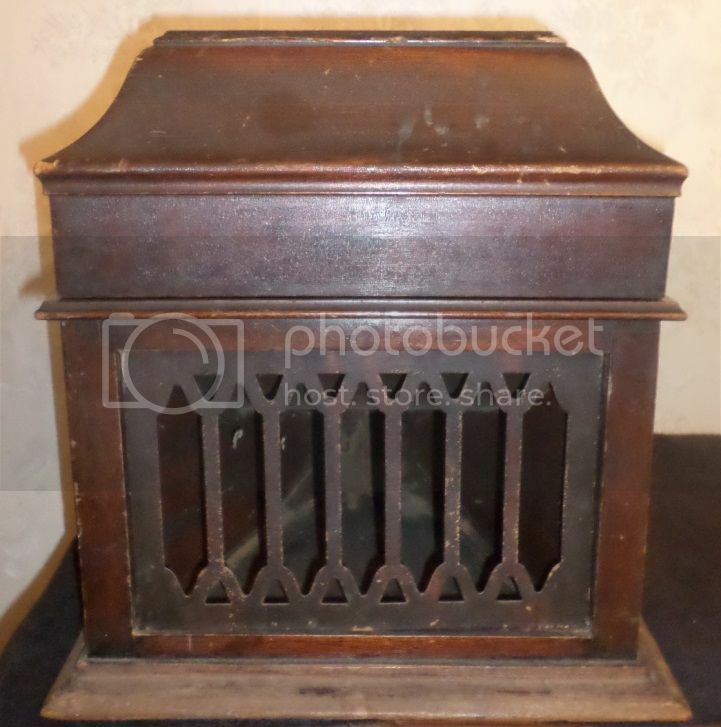 This phonograph was sold in 1913 and 1914. 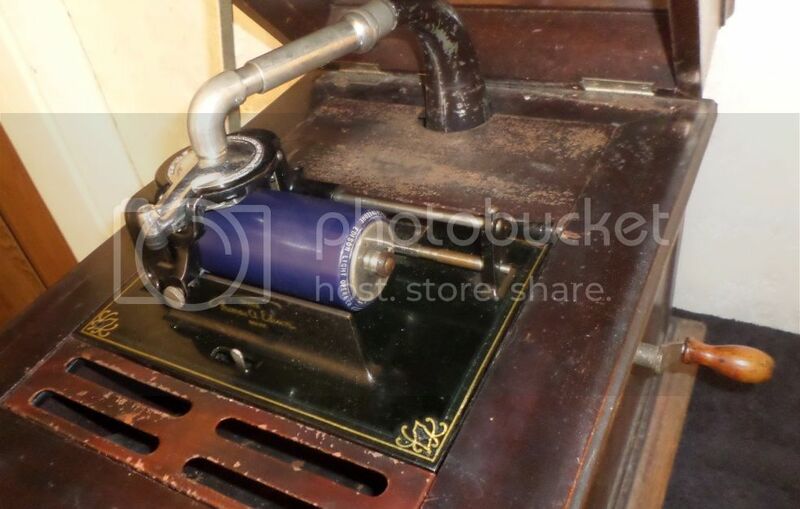 In this video, the Amberola is playing an Edison Blue Amberol Record - Catalog Number 1989. The band is Edison Light Opera Company and the song is "Anvil Chorus" from Giuseppe Verdi's Opera titled "IL Trovatore". This cylinder record was released in 1913. It initially sounded fantastic - very loud and prominent. Toward the end of the song the record skips. 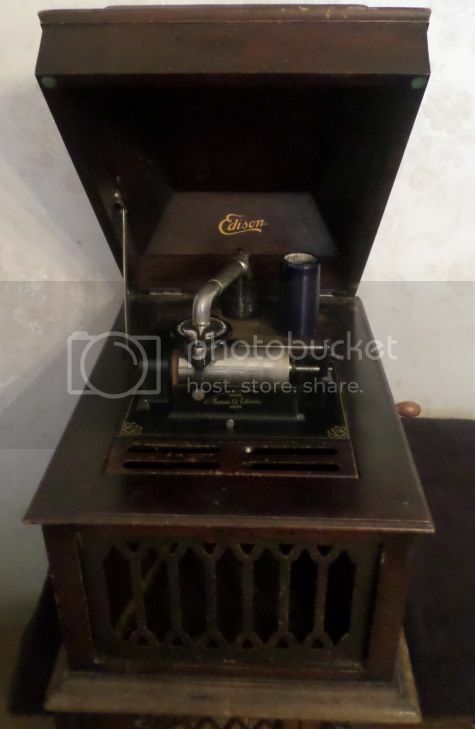 The seller threw the record in so it is okay. I will have to dig up some records that I already have and see how they play. Plus, there are two other people on youtube who posted this same cylinder so better copies are available for your listening pleasure. As a matter of fact, I discovered it is very common - plenty are out there. I wanted to make a video asap so I can show people, mainly people whom I know personally, the Amberola and how it operates. Here is a video [I chose to use photobucket instead of youtube (due to a copyright issue) and in decreasing the size of the file in order for photobucket to accept it, a lot of quality was lost unfortunately]. Note: It takes a very long time for the video to get started, and to remain playing throughout, due to incessant buffering. I suppose it would be best to pause it and then go back to it in a few minutes. Hard to believe that we still have these kinds of problems in 2014. The front decal is not centered. It is either a reproduction decal or someone in the production line way back then did not place it on evenly. 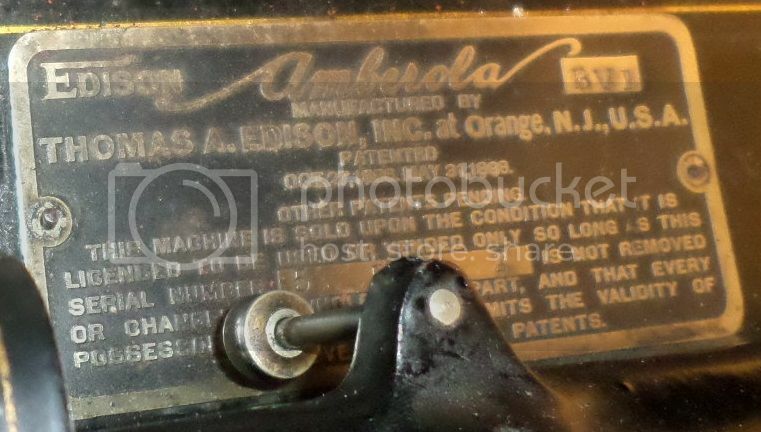 It appears as if this Amberola was serviced at some point [(by a legitimate company (the business card was inside of the machine) so I feel a lot better about any work that was done]. 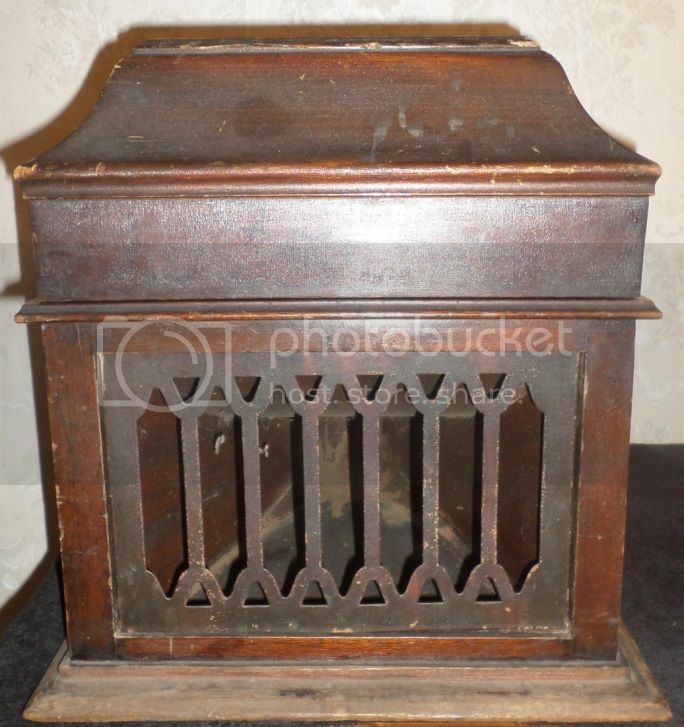 Neither the seller nor the restorer bothered to clean it or dust it off. 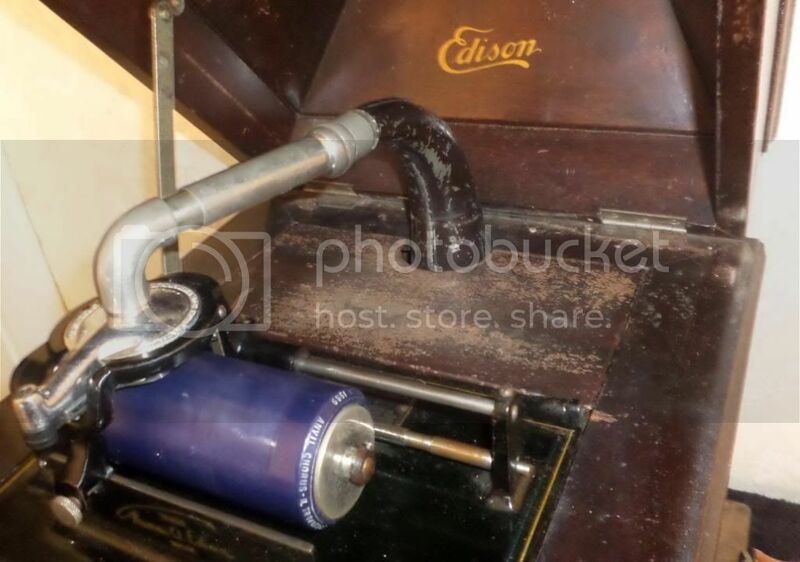 That's no problem because I like my Edison record players the same way I like my women ... DIRTY! 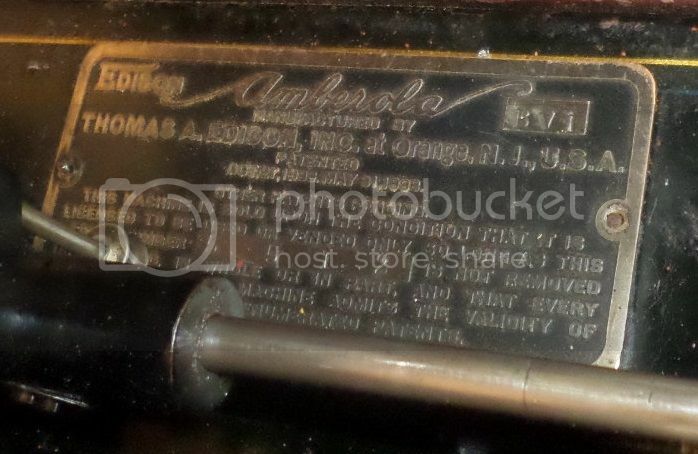 The seller has been very secretive about this Amberola. He ain't giving me any info about it. I think he is clueless rather than deceptive. So far so good though. 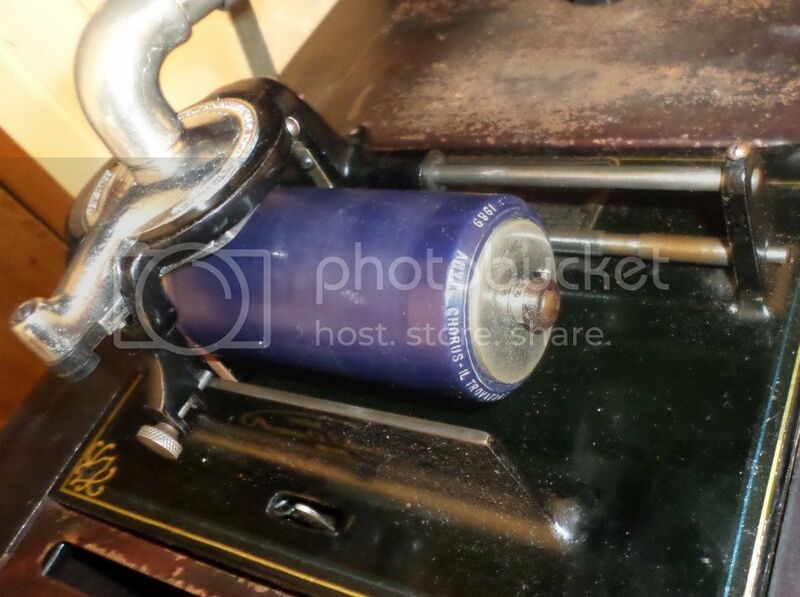 I just want a working player for my cylinders and it is doing the trick so far. 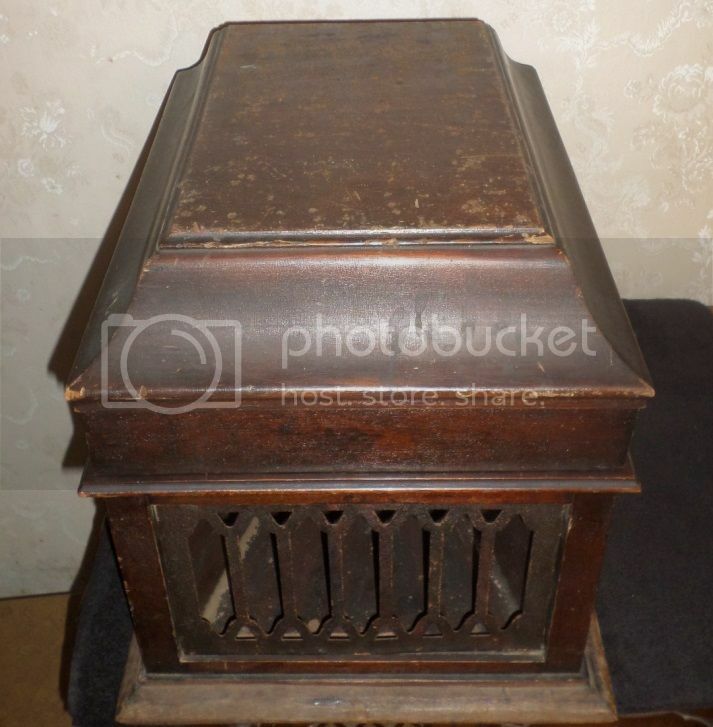 As you can see, it is dusty and dirty and that is fine because I merely want a working phonograph that does, in fact, show the signs of age. I want it to remain in its natural time-weathered state with all of the scars of aging as opposed to an example that has had work done in order to make it aesthetically pleasing.